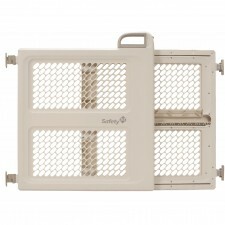 The BILY Retractable Safety Gate is suitable for use in doorways, hallways, and at the bottom of staircases to keep your child safe. 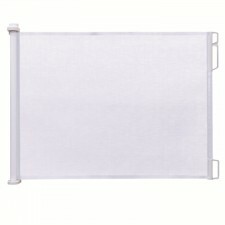 Fits openings up to 140cm or 55" Sturdy and durable mesh barrier can be mounted inside or.. 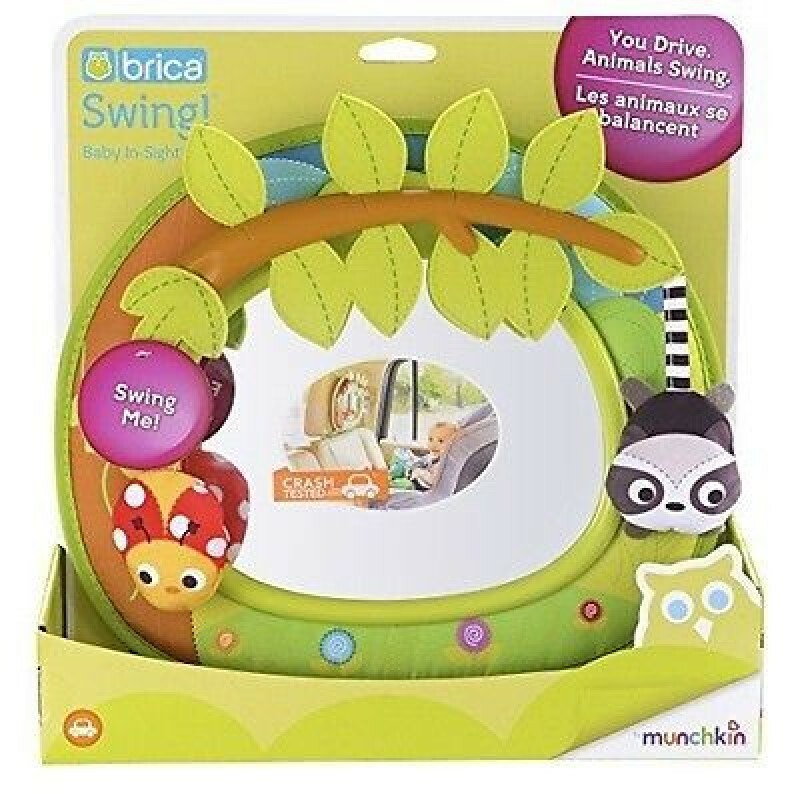 The KidCo Angle Mount Safeway is THE gate for situations where mounting points are not straight across from each other. Perfect for top of stairs when you need to mount one side on the wall and one side on a banister, but it can a.. 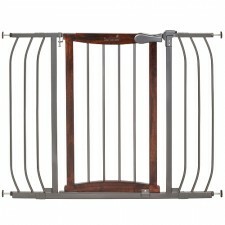 The KidCo Angle Mount Safeway gate extension is a 10'' extension that can be used with the Angel Mount Safety hardware mount gate. 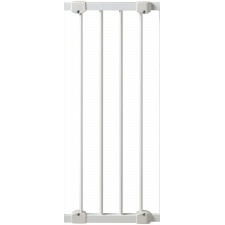 Perfect for top of stairs when you need to mount one side on the wall and one side on a banist..
We present the KidCo Retractable Safeway. 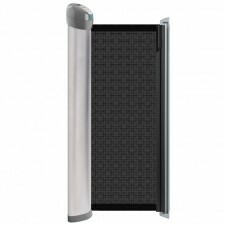 It is a flexible, yet safe mesh barrier with patented one-touch memory button to pre-set the gate width for easy and safe walk through. The super quiet recoil won’t wake your baby an.. 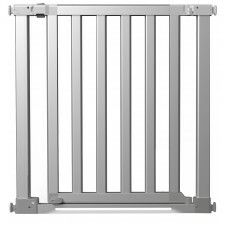 Finally, an infant safety gate that will not only please your keen design sensibilities, but also offer the latest in safety gate technology. This gate features head-turning modern design and safety features that adapt to the fit ..
Luna is the safety innovation award-winning gate that combines beautiful style with an illuminating LED motion-activated light. 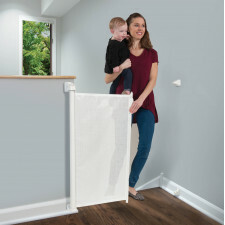 Safe for use anywhere in the home, this pressure-mounted baby gate stands 29” tall and fits openings 3..
Keep the home style and the kids safe is possible with The Munchkin Push To Close™ Safety Gate that’s safe for use at the top of the stairs and matches your staircase, too. 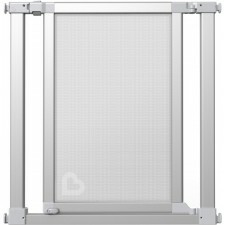 In dark grey has no unsightly adjustment holes along the ..
Munchkin - Safety Gate Vibe™ Ice - 30-40.5"
Vibe's ultra modern design features see-through mesh and seamless construction, allowing you to define your space with your designer taste. 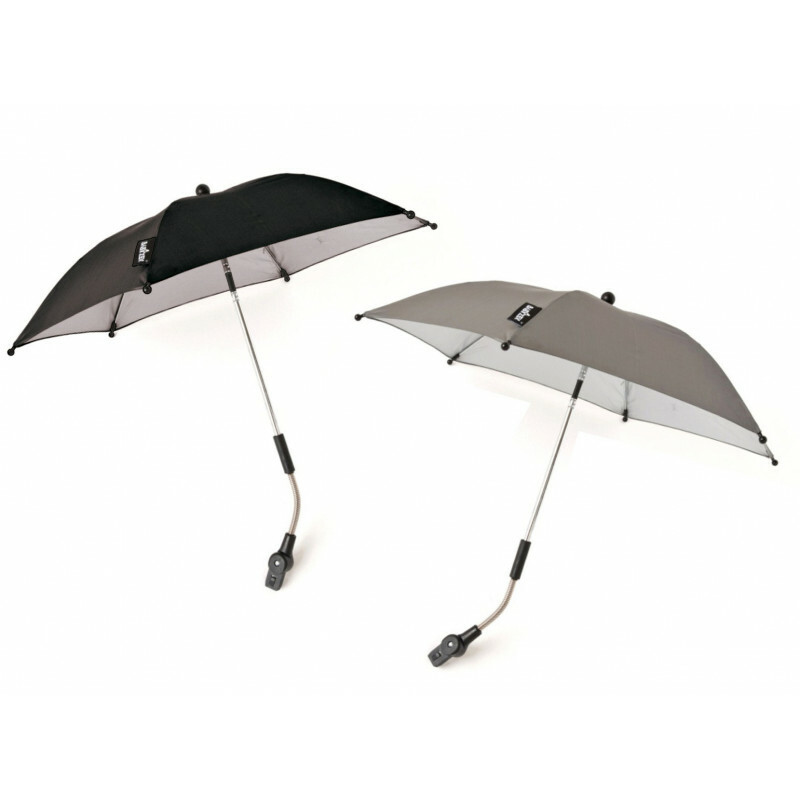 Delivered in a fully assembled package with award-winning TurnKey Mount™ technology for in.. 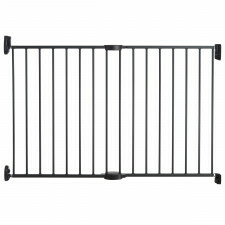 This gate that can be used as a swing gate (hardware included for easy hinge mounting) adjusts easily to fit openings 25.5"-42" (64.8 cm - 106.7 cm) wide and is 26" (66 cm) high. Expand gate in opening and engage pressure handle i.. 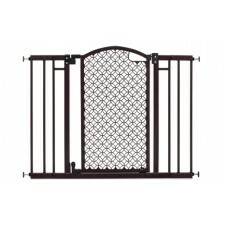 Looking for a gate that works all over the house? 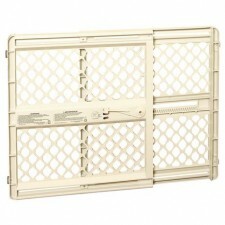 The Safety 1st Lift, Lock & Swing Gate has a unique 2-in-1 design which allows it to be used in either of two modes. You decide which mode best fits your needs: mount it at the.. Create safe spaces anywhere throughout your home without sacrificing style. The Anywhere Walk-Thru Gate features a sleek, modern design made from high-quality metal and attractive hardwood, making it ideal for contemporary homes. .. Your home style shouldn't change because of your baby safe, with the Multi-Use Deco Extra Tall Walk-Thru Gate you can keep your house decoration and have still babies safe. 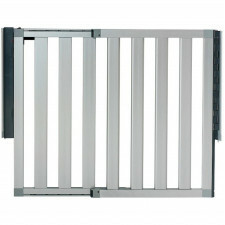 This attractive metal gate is adjustable to accommodate m.. 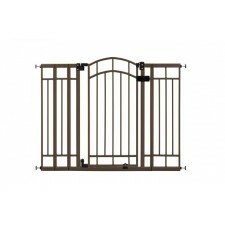 The Modern Home Gate features a durable steel design and a decorative arched doorway. For added hands-free convenience, Modern Home is equipped with an auto-close feature which gently closes the gate door behind you, as well as a .. 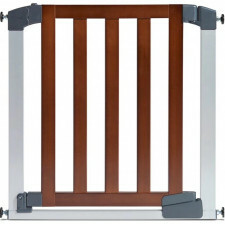 Enjoy the full walk-through space of your entrances with Summer Infant’s fully Retractable Gate as it provides an innovative alternative to traditional hardware mounted gates without the hassle of always having a closed barrier be..